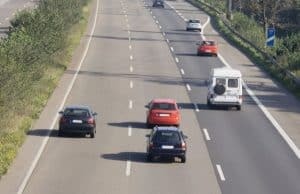 UK motorists are being urged to ensure they are helping to improve safety on the roads and are keeping a sufficient distance from vehicles ahead of them. GEM road safety officer Neil Worth commented: "We know that some aggressive drivers deliberately choose a close-following position in an attempt to intimidate those in front of them. "But we are also concerned about those who may follow too closely simply because they're not paying attention or they’re simply not aware of the space they would need to stop if anything went wrong ahead of them. They don't mean anyone else any harm, but they're still putting lives at risk." Molly Benton, brand manager at Fuel Card Services, adds: "Tailgating is one of the biggest pet peeves of motorists up and down the country, so it pays for people to be aware of the best methods to tackle this problem, ensuring safer and less stressful journeys for all."